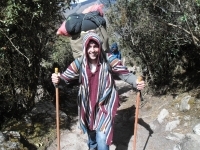 I think that the trek was great. 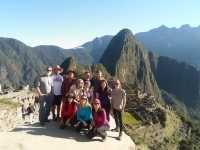 I am sure to book with Inca Trail Reservations because everything was great. It seems that although there are many things that are good but they seem to ring you around to get the things we want. I thought it was a great adventure. I loved going to the summit while going up, Dead Women's Pass was one of the hardest things that I have ever done, it was my favorite view. 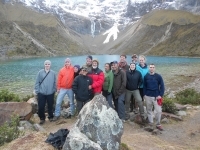 The people I met were amazing and that I learned a lot of things from them and my guide. The trip was amazing. Manuel was very informative and a lot of fun. He always knew the answers to my questions which was great. He always was laughing and smiling which made for great atmosphere for the group. It was definitely the most accomplishing and amazing tour I've ever had. Everyone told me this would be a trip of a lifetime. It was. 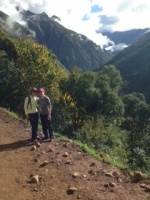 Words cannot describe what the Inca Trail contains. The sights along the whole trail are breathtaking. The culture that the locals have is inspiring. 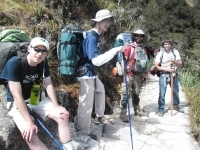 Machu Picchu is the goal but the hike is the most memorable. 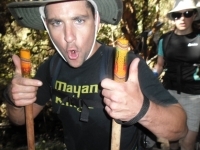 First off, Manuel was the greatest guide, calling us "campeones" the whole way. We appreciated his guidance. This trek was one of the hardest walks I have done and I feel accomplished making it to the peak and down again. Overall, the trip was great. The timing of everything, i.e. the breaks, meals, wake-up was very well coordinated. The meals were very nourishing and the cooks did a great job. Everything was setup when we would arrive at camp. Well this has been hands down the best experience of my life. 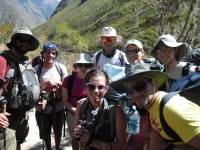 Aside from the obvious beauty of the Andes and the Inca sites, Manuel and the porters made this experience so much more. The food from Alejandro was amazing and the strength of his team was equally as impressive. 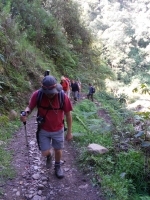 I took the 5 days 4 nights trek and I really recommend it. 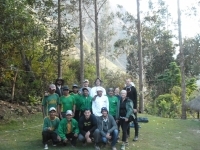 Everything was well organized and the coca tea on the tent in the morning is a must. The mountains views are fantastic. 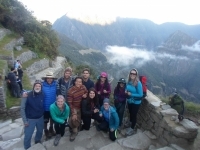 The Salkantay hike was great, I really enjoyed the experience. From the hot tea in the morning to our dinner, every day was enjoyable. We were treated really well, and the food was delicious. The trek was a challenge, but definitely worth the pain. 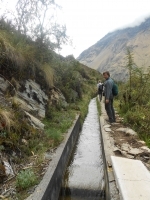 The trek was very beautiful and the support services were great. Some highlights were having all my belongings carried by horse, tea served to the tent in the morning, and having the tent in a shelter for the very cold night (making it much warmer in the tent)!!! Levantarse a las 5.20 de la mañana, en mis vacaciones podría sonar como una tortura, pero esto fue muy lejano de la realidad, cuando te levantan con una rica taza de mate calientito y cuando sabes que te espera un día maravilloso, te levantas con gusto y entusiasmo. Mi nombre es Edwin Rivera, vine desde Puerto Rico para hacer el tour de Salkantay.